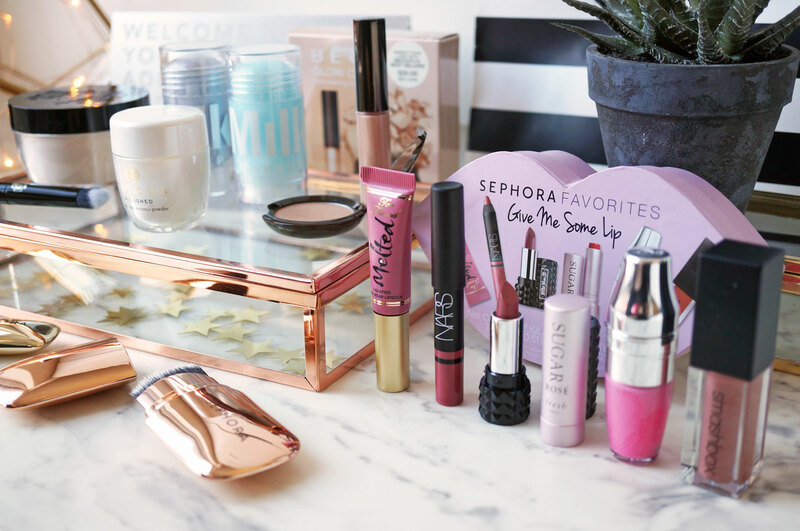 My NYC Sephora Haul! Feat. Kat Von D, Milk Makeup, Tatcha, Becca & More! 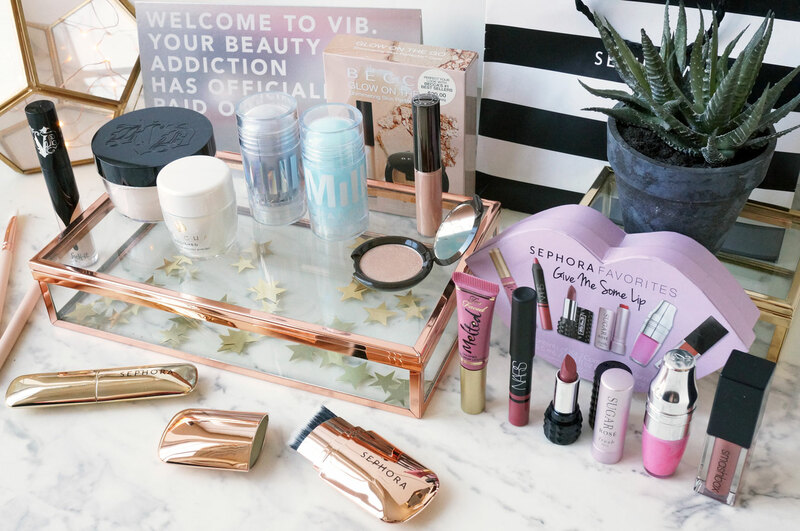 Any beauty lover will know that one of your priorities when visiting the US is of course, Sephora. Visiting New York was my first ever visit to the US, so I had my first ever Sephora store experience too! So first of all I headed for Kat Von D (and yes I know we have it in the UK now, but it wasn’t available here when I was in NYC!) I really liked the look of the new Lock-it Concealer Creme – a super-versatile, rich and creamy concealer with 24-hour wear and instant full coverage. It promised to brighten the undereye area, cover blemishes and correct discolouration which was exactly what I was looking for. I got Hayley to help shade match me and ended up with shade Light 3 Warm. I started using this while in NYC and I have to say I was very impressed, it did a great job of covering my under eye circles as well as staying put throughout the day. I picked up the Lock-It Edge Concealer Brush too – described as ‘a high-performance concealer brush with an exclusive sculpted shape to seamlessly blend under eye concealer and instantly cover blemishes‘ I thought this would be the perfect match for the Lock-It Concealer. It’s just the right size and shape for concealer coverage on the under eye area, and applies product like a dream. 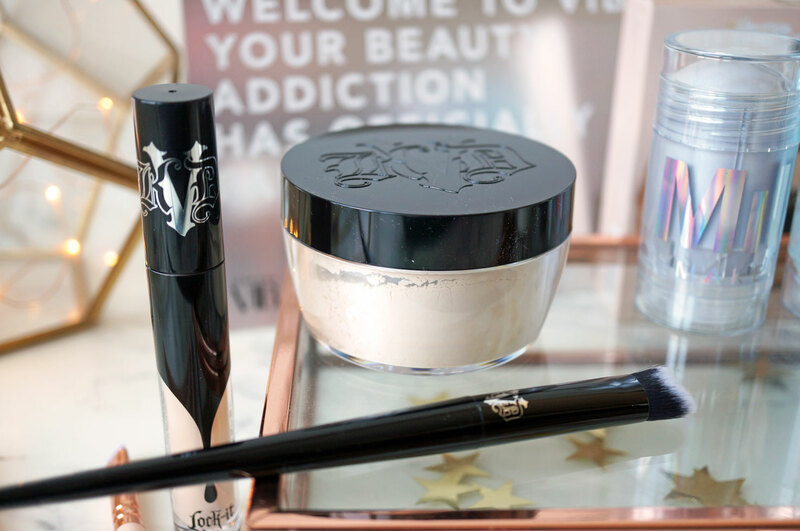 While I was at it I thought I’d also grab the Kat Von D Lockit Setting Powder too – you know, when in Rome! This is a weightless translucent loose powder, formulated with Micro-Blurring Technology to blur pores and set and perfect makeup for a flawless, locked-in finish. This is probably the most lightweight and silky finishing powder I’ve ever tried – it leaves your complexion velvety matte and smooth – and you can also use it for baking if that’s part of your routine too. Firstly I grabbed the Milk Makeup Cooling Water – this is basically a twist up stick that you apply to the face to cool, soothe and hydrate the skin. I tried it on the back of my hand and the cooling effect really worked! The product contains rich marine minerals and caffeine to hydrate, whilst give skin an energized, glowing look. 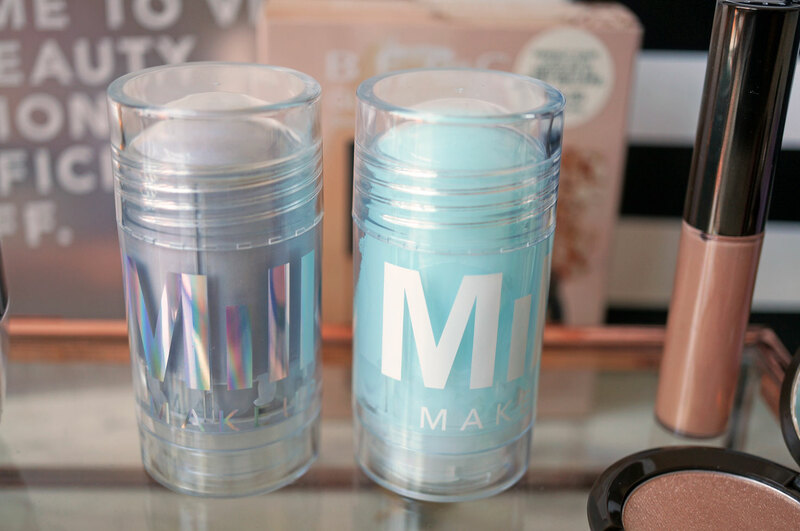 And the Milk Makeup Holographic Stick – well, I’d heard of this and thought it sounded fantastic, so I popped it in my basket too. Technically this doesn’t give a holographic highlight, but it does give skin an iridescent lavender sheen, which is really fun and pretty. 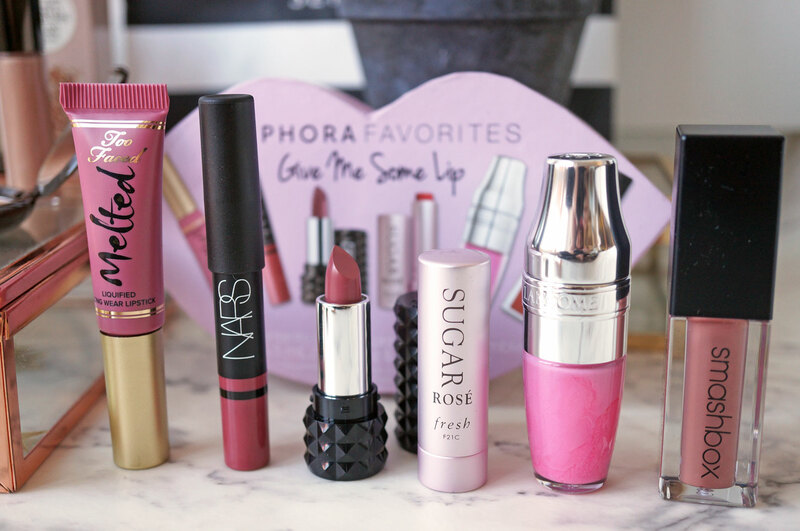 Also, you can use it wherever you like – lips, eyes, cheeks – I’m looking forward to creating some fun looks with this! 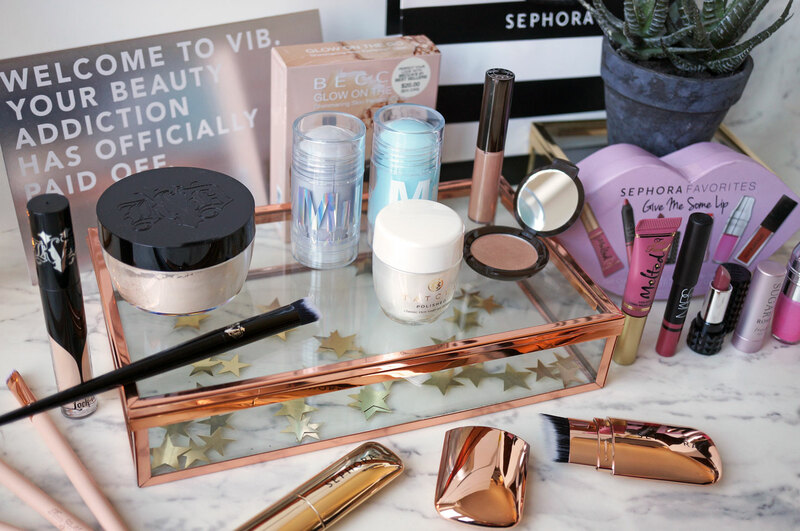 I then checked out Sephora’s massive own brand range, and they literally stock everything! I loved the look of their retractable Hide & Sleek brushes, which come in high shine metallic casings with lids so they don’t get ruined in your makeup bag. 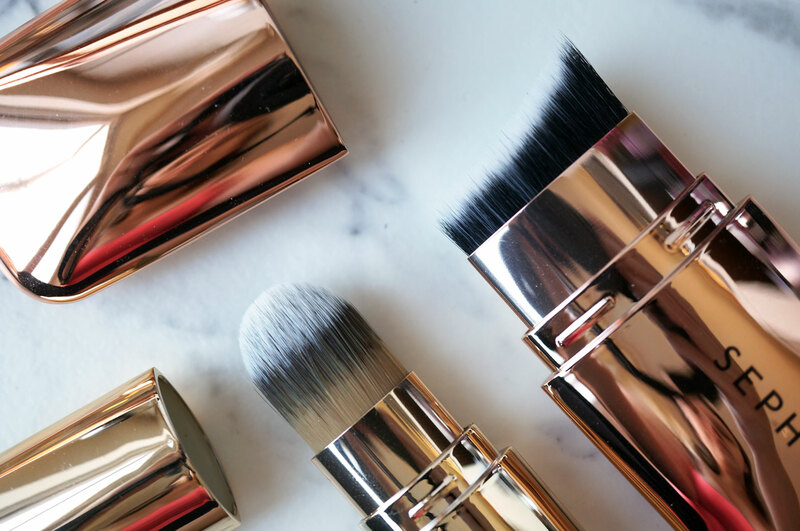 I grabbed the Skinny Cheek Contour Brush – a retractable cheek contour brush in a slim and elegant rose gold case, and the Skinny Foundation Retractable Brush – a chic retractable foundation brush this time in gold casing. 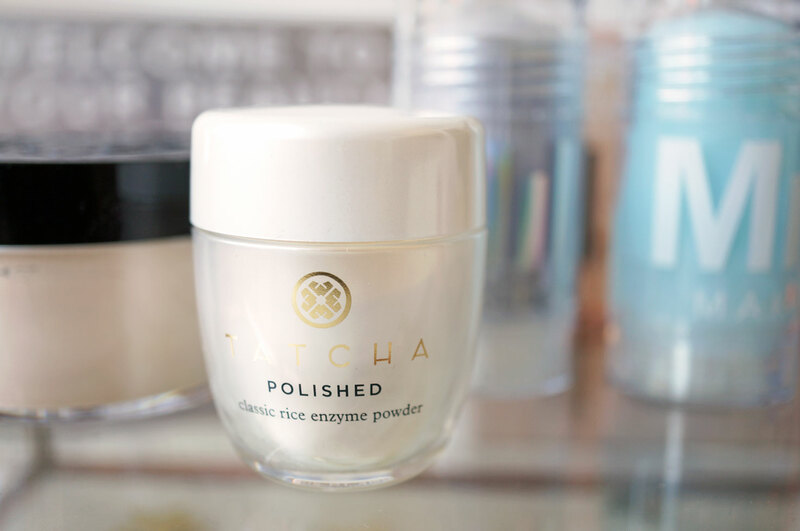 I’m also really glad I came across the Tatcha Polished Classic Rice Enzyme Powder – I’d been wanting to snap this up for a while, but the full size tub is $60.00 – eek! I found this mini 10g tub which was only $15.00 and very much in my price range. If you haven’t heard of Tatcha, they offer luxury skincare inspired by Japanese Geishas – you should definitely check them out if skincare’s your thing. Their Classic Rice Enzyme Powder is a creamy, water-activated enzyme powder that effortlessly releases debris from skin, leaving it feeling polished and baby soft in an instant. It’s formulated with nourishing Japanese rice bran blended with papaya extracts, to help reduce the look of fine lines and addresses uneven skintone, hyperpigmentation, and breakouts. I’m looking forward to giving this a go! And while I was checking out all the amazing mini products and sets that Sephora has to offer, I came across the Becca Shimmering Skin Perfector Opal Glow On The Go Set – this is a mini duo of BECCA’s Shimmering Skin Perfector luminizers. 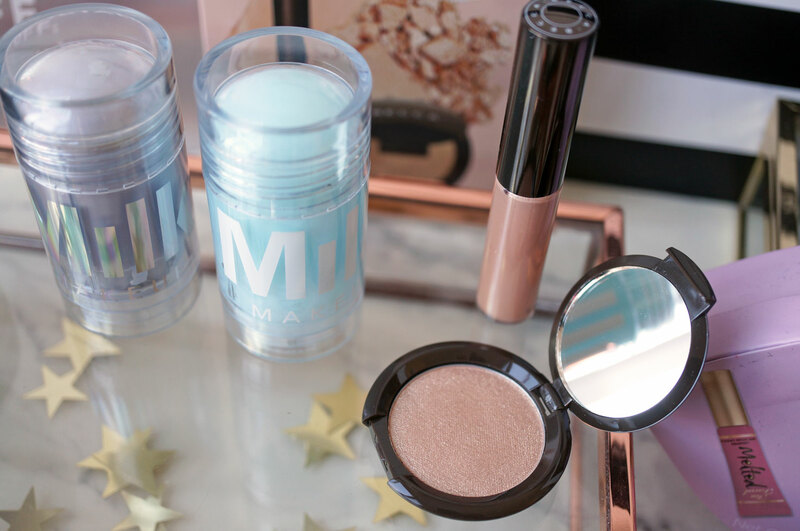 I love Becca’s highlighters and these mini pressed and liquid Shimmering Skin Perfectors in Opal just looked so cute – as well as being the perfect size to throw in my bag. By this point I’d tried mentally adding up how much I was spending and decided I’d better calm down a bit. I quickly glanced at Anastasia, Surratt and in the general direction of skincare and fragrance and decided I’d better head to the checkout before I got too carried away. So yes I ended up spending quite a lot of money… but I don’t regret it. It’s not every day I get to pop into an actual Sephora store, so I’m glad I made the most of it while I had the chance!